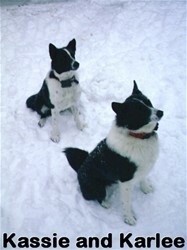 WELCOME to Aspen Valley Karelian Bear Dogs. Thank-you for visiting with us. Our Karelians, are our family pets, which we love very much. Here at Aspen Valley on our 210 acre ranch, in the upper Northeastern corner of the State of Washington nestled in the Selkirk Mountains and surrounded by National Forest, which is home to bear, cougar, moose, lynx, elk, wolverines, and coyotes; "our dogs have a job to do," they are used for protection every day. The dogs go with us every time we leave our house and go out into the woods. Our children are trained to always have a Karelian with them wherever they go; we have little worries as long as the dogs are on patrol. Our dogs are constantly on guard and hunting. 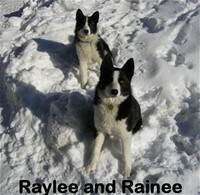 These are working dogs, yet gentle and reliable, even with our small children. 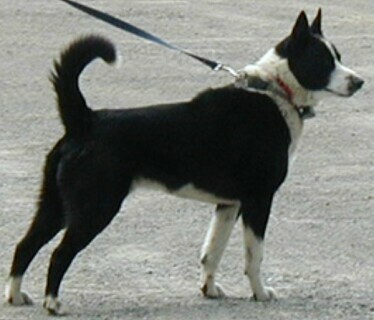 We breed the Karelians because we love these fantastic dogs and want to share them with other loving families that are looking for a unique and devoted companion. We specialize in uniting our very special KBD puppies with loving and responsible owners.